Following the detection of what was reported to be a Russian SSBN by the French Navy, our colleagues from French naval magazine Le Marin are reporting that the submarine may actually be a former SSBN converted into a special purpose submarine for intelligence gathering mission. This assumption, coming from a "well connected source" is interesting and makes much more sense than the SSBN speculation. The Russian Navy currently has two known "special purpose" submarine, the newest is the Podmoskovye (BS-64) and the oldest the Orenburg (BS-136). 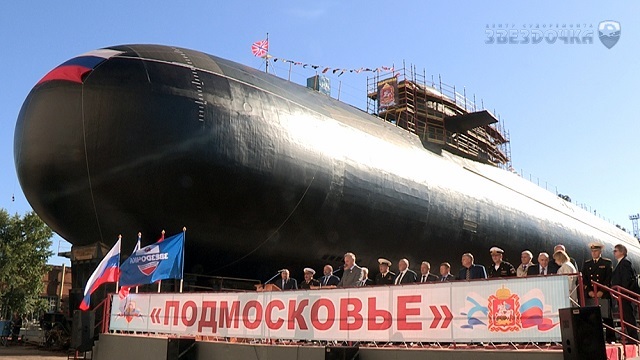 The Podmoskovye nuclear-powered submarine has been modified into a special purpose submarine. The Podmoskovye nuclear-powered submarine (a modified Delta IV class ballistic missile submarine or SSBN, Russian designation Project 667BDRM or Delfin) was launched in August 2015 after undergoing repairs and modernization at the Zvezdochka shipyard in northern Russia. The Podmoskovye was commissioned late in 1986. According to open sources, the ship was sent to the Zvezdochka shipyard in 1999 for conversion into a special purpose submarine. The former K-64 was removed from active service in 1999 and was ordered to be refitted. It was planned for her to be reactivated in 2002 to replace the Yankee 'Stretch' class KS-411. KS-411 had been the mothership for the Paltus-class mini submarines, which are believed to be used for a combination of oceanographic research, search and rescue, and underwater intelligence-gathering. K-64 was renamed BS-64 in 2002, and her central section containing 16 silos for ballistic missiles was removed to create space for the installation of scientific-experimental equipment. The modifications undertaken on the submarine are reportedly for deep-sea submarine nuclear stations and autonomous unmanned underwater vehicles in the interests of the Main Directorate of deep-sea research (Googie) of the Ministry of Defense of Russia. The Orenburg is a former Delta III heavily modified to serve as mothership for the Project 1851.1 Paltus and Project 1083.1 (sometimes called Project 210) Losharik themselves used for special underwater missions, but details are very limited. According to Le Marin, one of these submarines was detected lurking not far from l'Ile-Longue where the French Navy ballistic missile submarines base is located. As such, it is one of the most secretive and secured places in France. Spying on SSBN activity is said to be "common practice" among SSBN operators, but this time the French Navy caught the Russian submarine, and probably got its precious acoustic signature in the process too. 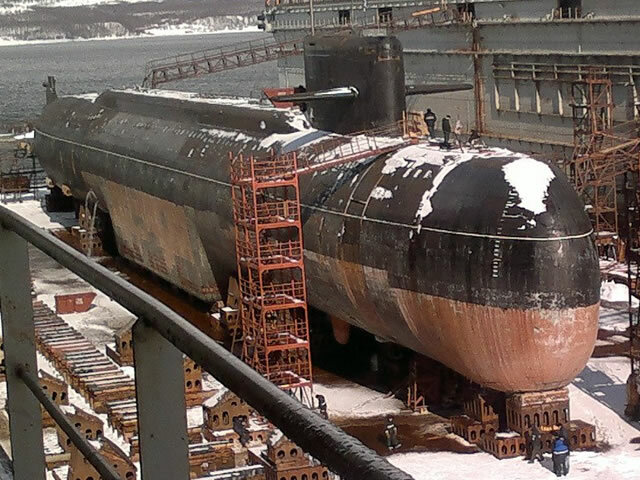 Special purpose submarine Orenburg (BS-136) in dry dock. Note the modified hull to accomodate smaller submarines.